This is the one you have been waiting for! 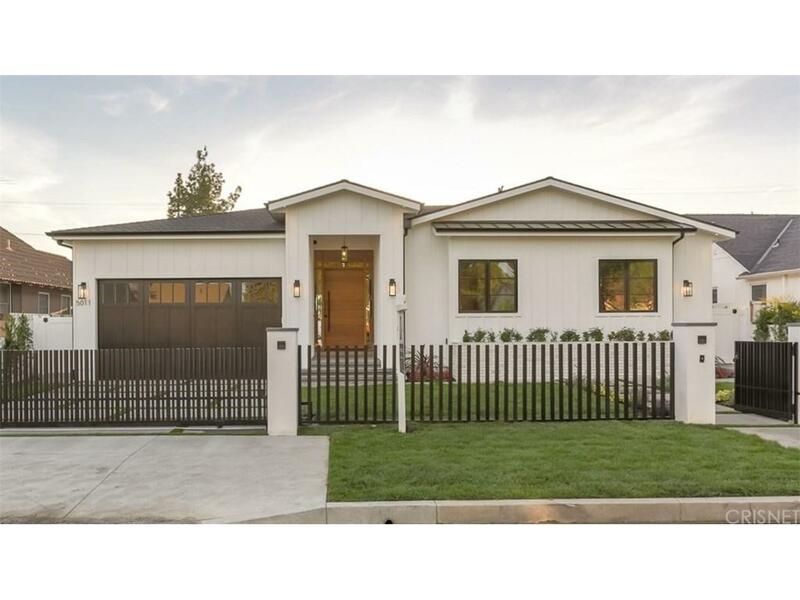 Situated in the heart of Sherman Oaks is this exquisite 5 bedroom, 5.5 bathroom Contemporary masterpiece! With over 3,800 sqft of living space, this bright and elegant one story home features beautiful curb appeal, open floor plan, high ceilings, and spacious suite bedrooms. Fully integrated Control 4 Smart Home and custom finishes throughout. The gourmet chef?s kitchen features Vadara Calacatta counter tops, center island breakfast bar, top of the line appliances and custom cabinets. Luxury and sophistication describe this dream home! WOW! The luxurious master suite with vaulted ceilings, his & hers walk-in-closets and a resort-like master bath with dual sink, freestanding tub and an oversize shower is breathtaking! The spacious family room boasts a modern fireplace and is equipped with a 65? TV. A wall of 20? glass pocket doors opens to an entertainer?s backyard with a sparkling heated pool, spa, built-in BBQ kitchen and a covered patio great for outdoor lounging or dining. Other features include indoor/outdoor surround sound system, 8 HD security cameras, alarm system, LED lighting and more! This one story custom built home is 1-OF-A-KIND!